AS I ENTER Greenwich Meantime HQ, marketing manager Alec Fleming greets me a with a watermelon-slice smile. He's holding a large black briefcase – the kind you see handcuffed to henchmen's wrists in 1980s action movies – and after we shake hands he gives me a hi-vis jacket. "We take health and safety very seriously," he says. "And you are about to enter the brewery." I've been promised a 'Virtual Reality Brewing Experience' but as Fleming unpacks the tech, and I loop my arms through the holes of my spangled garment, I can't help but feel like the new apprentice, sent out for stripy paint only to return to a cauldron of bantz. Seconds later, kitted out with a Samsung GearVR headset and earphones with binaural sound, I'm the idiot in the corner, my mouth gaping open, ready to catch flies. Like many '80s kids, I first encountered 'virtual reality' through children's adventure game show Knightmare ("Careful team"). In those days, virtual reality was the future – a fact regularly underlined by Peter Snow extolling the virtues of a pixelated universe on Tomorrow's World. It's nearly twenty years on and that world is now. Unlike Knightmare, the Meantime Brewery virtual tour isn't built with graphics. 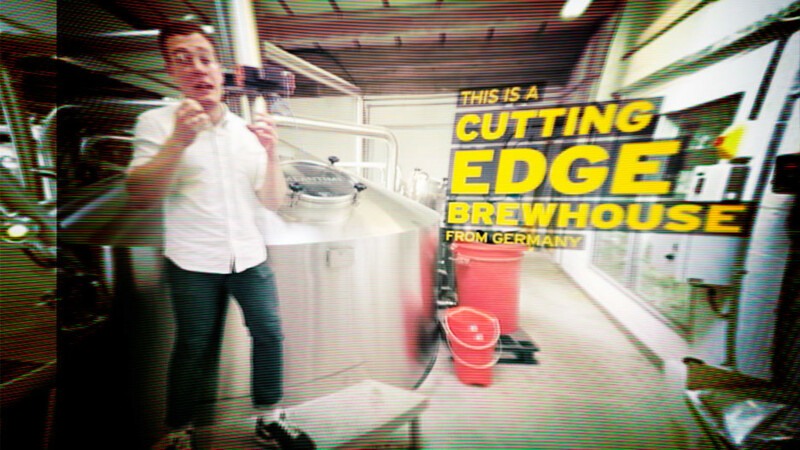 This is live-action video and for the next five minutes I seamlessly fade from the bar to brew house to packing plant as the tour's host – the UK's youngest beer sommelier, Jethro Holman – leads me through a pint's journey, from grain to glass. It's a totally immersive 360º experience – at one point I even find myself playing chicken with a forklift. "We have around 15,000 people a year come through the doors of the brewery and we find it's one of the best ways to show people how we work on a daily basis," Fleming says. "Obviously, we can't get everyone here so we decided to create a virtual tour so that even if you're in the middle of a desert you can still be in the Meantime Brewery." You certainly can. After a successful soft launch at Taste of London 2014, Meantime took the tour – complete with keg-mounted spinning seats and beer flights – to this year's Wilderness festival. It was a resounding hit and plans are in the pipeline to visit more festivals next year. 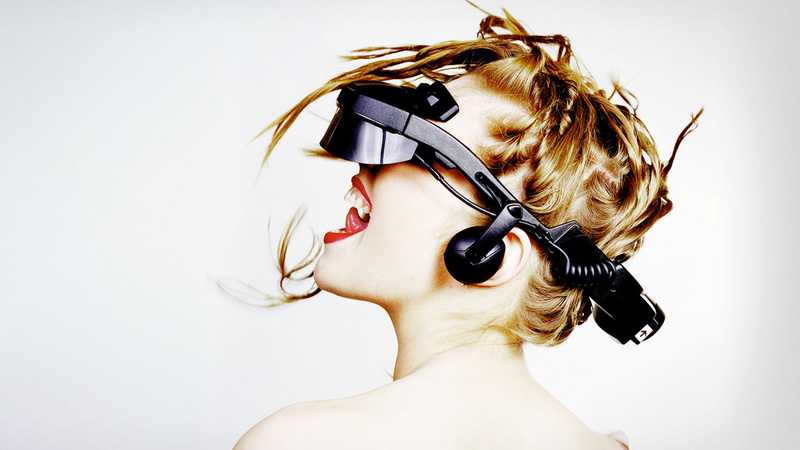 Henry Stuart is the CEO of virtual reality specialists Visualise. This is the company behind Meantime's tour, and its team has previously worked with everyone from FIFA to Kasabian. 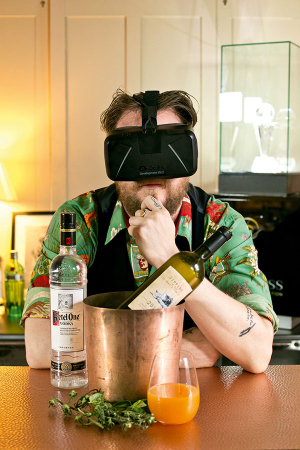 Stuart says that from the point of view of wine, whisky and beer producers specifically, VR offers a great opportunity for brand communication. "This is particularly impactful," he says. "Using the actual people involved in making the drink, and telling the story of the brand direct to camera and onsite, makes virtual reality a very personal experience – you really feel like someone is talking to you." It's this open house ethos that makes the potential impact of VR on the food and drink industry unimaginable; from truffle hunters in Périgord to deep-sea fishermen, VR could provide proof of provenance in a way no other technology has ever done before. While car companies use fast speeds around a track to showcase their brand, their food and drink counterparts could be lifting the bonnet and letting everyone see the engine And that's just the tip of the virtual iceberg. At the recent Diageo World Class UK Bartender of the Year 2015 competition in Scotland, Benji Purslow of Keystone Crescent served 'Sipping in the San Donato Sunshine' as one of his signature cocktails. Purslow delivered his drink alongside an Oculus Rift and transported the judges to the Italian countryside, complete with Tuscan villa, pixelated fig trees and chirping birds. Purslow is fascinated by the way the senses can alter our perceptions of taste – and as I wander the Tuscan villa while sitting on a couch in his members' bar in King's Cross, I'm rather amazed at how summery the vodka-based cocktail tastes. The crème de figue and apricot and basil purée in particular really seem to pack that extra zing. Perhaps I shouldn't be surprised. Sight, touch and smell can hugely influence our eating and drinking experience: Dr Carl Philpott of the Smell and Taste clinic in Norwich believes 80% of flavour comes from smell; a 2012 study by Oxford University determined that the colour of a cup can change the perceived flavour of coffee; and a 2013 study into the influence of a multisensory environment on whisky drinking found that such an atmosphere can have an impact on people's enjoyment of a drink. Imagine the possibilities if VR were to realise its potential: a bar where not only do you choose what to drink, but you also get to choose where you drink it ("A White Russian with a side order of moonscape, please"). Purslow, meanwhile, has his feet firmly on the ground. He hopes to have one or two headsets placed in the bar with a VR-only menu in near the future, although he admits he'd need a drinks brand to back him financially if he wanted to create his own 'patches' or virtual reality worlds. He's even designing a wing-back chair with a small heater at the front to distribute smells. But despite his obvious passion for incorporating new tech into his bar, Purslow is skeptical about VR's commercial potential, at least at a front of house, consumerist level. "VR only has a finite point because drinking is a sociable thing. This isn't, particularly," he says wistfully, thumbing the headset. He's not the only one. Back at Meantime, Fleming also believes the next stage is "a battery of the senses". Although as I'm leaving he tells me that many marketing gurus believe the adult industry will ultimately decide whether or not VR takes off commercially.